Faced with the demand that they develop better security measures and find more cost-effective crime prevention strategies, security organizations and law enforcement agencies, now more than ever, are turning toward CCTV systems to enhance operational capacities, extend their security reach and reduce costs. CCTV surveillance systems have been adopted for use in all kinds of applications, both private and public in many countries. Here are a selection of the main uses of CCTV cameras across Canada. In September 1968, Olean, New York was the first city in the United States to install video cameras along its main business street in an effort to fight crime. It was seen as a cheaper way to deter crime compared to increasing the size of the police departments. In Canada during the 1980s, CCTV video surveillance began to move from the private commercial sector and business use into some public spaces. From the mid-1990s on, municipalities across the country installed CCTV cameras in various public spaces including housing projects, schools and public parks departments. 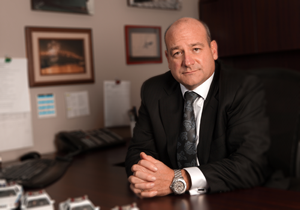 Many businesses, especially those that were prone to theft, began to use video surveillance. CCTV later became common in banks and stores to discourage theft, by monitoring and recording evidence of criminal activity. CCTV systems in public spaces and settings were the least effective, with just a 7% decrease in crimes overall. There is still much research to be done to determine the effectiveness of CCTV cameras on crime prevention before any conclusions can be drawn. However, we do know that CCTV has played a significant role in some high profile crimes. In our previous blog I noted how important CCTV coverage was for the Vancouver Stanley Cup riots - hundreds of people turned themselves in because they were captured on video. Closed-circuit video cameras in the American Navy Yard complex caught gunman Aaron Alexis during his shooting rampage, and CCTV played an important role in identifying the Boston Marathon bombers. Police forces routinely seek CCTV recordings after crimes. Moreover CCTV has played a crucial role in tracing the movements of suspects or victims and is widely regarded by antiterrorist officers as a fundamental tool in tracking terrorist suspects. 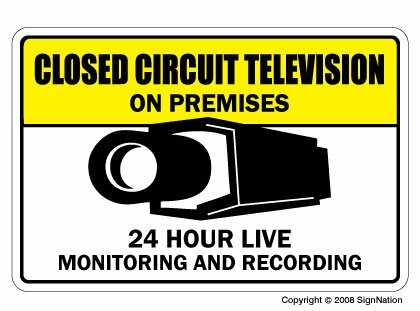 Industrial processes that take place under conditions dangerous for people to operate in are today often supervised by CCTV. These are mainly processes in the chemical industry, the interior of reactors or facilities for manufacture of nuclear fuel. Special cameras for some of these purposes include line-scan cameras and thermographic cameras which allow operators to measure the temperature of the processes. Many cities across Canada have highway cameras and traffic-monitoring systems, using closed-circuit television to detect congestion and notice accidents. Other traffic CCTV surveillance cameras serve as traffic enforcement cameras for speeding and red light jumping. CCTV cameras may allow the vehicle or train operator to confirm that people are clear of doors before closing them and that everyone is safe. A CCTV camera and dashboard monitor can make reversing a vehicle safer, if it allows the driver to observe objects or people not otherwise visible. This is increasingly an area of concern for retail owners, especially as most trade magazines estimate retail shrinkage to be in the region of 2-3½% of revenue. With conventional CCTV every action in a retail store can be recorded. CCTV helps to track the actions of workers, especially when they are making critical financial transactions, such as correcting or cancelling of a sale, withdrawing money or altering personal information. Schools in Canada are beginning to use closed-circuit television for school security to monitor visitors, track unacceptable student behaviour and maintain a record of evidence in the event of a crime. Although there are some issues here - it is probably good security to have. CCTV Сamera's are generally acceptable in hallways, parking lots, front offices where students, employees, and parents come and go. CCTV usage in sport complexes, vacation areas, churches, tourist sites, clubs and bars ha been increasing as customer perception has grown that the location has above average security and is therefore safer. CCTV cameras mounted at the entrance and exit to the area where vehicles are coming and going is a good security system to have in place as all vehicles can be monitored and record all vehicles via their license plates, twenty-four hours a day. Furthermore full perimeter CCTV security with clear coverage of construction sites and compounds all help to lower the theft rates. Additionally, an upgraded security system for after hours security monitoring, such as a verified CCTV security system that is fully monitored at a 24/7 monitoring centre ensures no vehicles or people can move in or out of the secured area. As receptionists are open to anything from abuse to armed attack, CCTV cameras can be installed to give a clear view of everyone standing at the reception desk and counter. This not only gives a visual record of people as they arrive but also acts as a deterrent to criminal or abusive behaviour. Plus there are many other CCTV applications, probably too many to mention here. If you want to find out more about security solution in your business, please visit all our security solutions section on our Sonitrol Western Canada website. There's a wide range of CCTV technologies available, from conventional record-only devices, to advanced security systems with integrated, verified CCTV technologies - Call us if you need more information - 1-866-766-4876. If you're looking at installing a CCTV security system for your business we can help you navigate through the many choices. Our Sonitrol Security Consultants are experts in recommending and planning the best CCTV security system for you site - Contact Us Here. We're so confident in our technology and responsive service, that no one else in the industry can match our guarantee. Our unique verified audio and video business security solutions enable our operators to hear and see what is happening in your business before the criminals gain entry!! We verify the actual source of the alarm, and we get the police to attend the scene immediately. FOR A FREE RETAIL SECURITY AUDIT, click here, or call 1-866-766-4876. 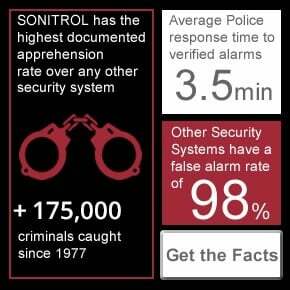 Sonitrol Western Canada, with its Verified Electronic Security Solutions, is committed to providing customers with the most comprehensive security protection. Cooperation in the elimination of false alarms is not only beneficial to the system’s user, but results in better protection of the entire community by allowing law enforcement to use their resources as efficiently as possible.